IMCDb.org: 1973 Pontiac LeMans in "Darbet shams, 1978"
Chevrolet Chevelle Malibu or one of its siblings. Possibly a 73-75 Pontiac LeMans? Jag Mk.X halfway up left line in sunshine patch. 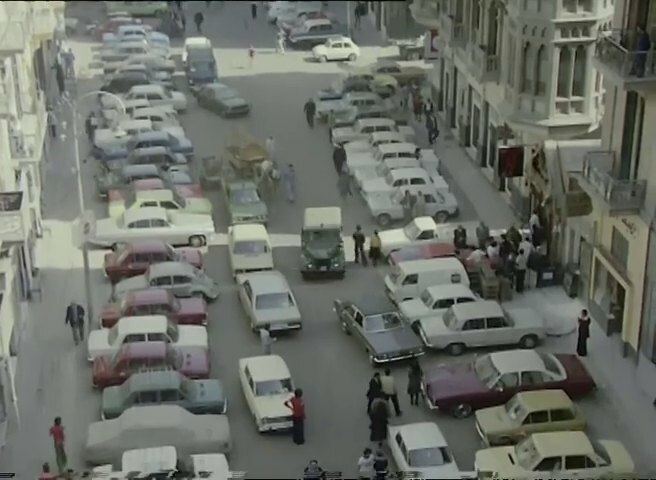 The yellowish small car next to the burgundy US sedan is a series I Autobianchi A112.